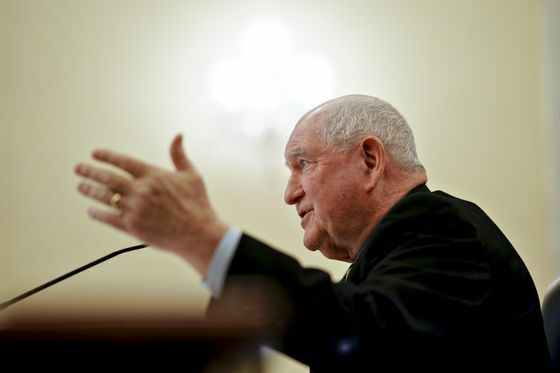 (Bloomberg) -- China has offered the U.S. some “very attractive numbers” for purchases of farm goods as part of “dynamic” trade talks, but there are still concerns over areas such as biotechnology, according to U.S. Agriculture Secretary Sonny Perdue. While parts of the agriculture deal are done, the U.S. is still ironing out details including how commitments will be enforced and implemented, he told reporters at the National Grain and Feed Association’s annual convention in Amelia Island, Florida. The U.S. is concerned about setting up a framework that would allow agriculture biotech innovations to flow into China in the future without being curbed by non-tariff barriers, he said. Agriculture talks have included discussions of China buying not only more U.S. soybeans, but other grains, including corn and rice, as well as meats including poultry, Perdue said. That would dovetail with a proposal by Beijing to buy an additional $30 billion a year of American agricultural products. The U.S. is also seeking to remove non-trade barriers facing some products, and progress has been made on beef, he said. 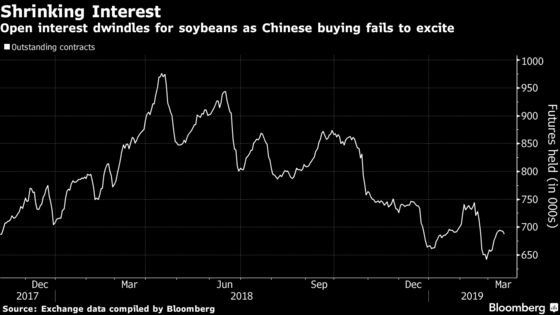 China has already been back in the market for U.S. soybeans in recent months as the Asian nation makes so-called good-faith purchases amid the negotiations. But American farmers are hoping for bigger buying after last season’s bumper harvest has sat piled up in bags and silos after the trade war sapped demand. The soybean tariffs underscored that the U.S. has become overly dependent on China, Perdue said. The U.S. Department of Agriculture is working to expand the American customer base in nations including Malaysia, Philippines, India, Vietnam and Thailand -- “all those countries that are not as large as China and where we could be very effective competitors,” he said. “While we are trying to broaden that base, we would certainly welcome more demand from China,” he said. The U.S. is pushing China not just to increase farm purchases, but also to address structural trade issues, Gregg Doud, the chief agricultural negotiator for the Office of the U.S. Trade Representative, said at the conference in Florida. He cited issues with the Asian country’s domestic subsidies as well as the nation’s tariff-rate quotas. The quotas pertain to shipments of wheat, corn and rice. The U.S. has said that China has at times fallen short of this commitment, which includes 9.64 million tons of wheat and 7.2 million tons of corn. “We are getting pretty frustrated with how some of these countries are allocating these TRQs,” Doud said, adding that the topic has been part of trade talks with Canada as well. China’s U.S. agricultural imports of about $20 billion year aren’t enough since the country’s total purchases reached $124 billion last year, Doud said. In terms of trade negotiations with the European Union, the U.S. won’t reach a deal without agriculture, Perdue said. The U.S. has been pressing the EU to address agriculture in trade talks, a sector the bloc has vowed to leave out. Farm production in the region is subsidized and measures including controls on approvals of genetically modified products help keep some American goods from going in.